Feeling overwhelmed by all you need to get done? Have a project you’ve been putting off? Harness the power of 15 minutes and little by little you’ll see progress! Years ago I learned a valuable homemaking secret from FlyLady. The secret was simply this: you can do anything for 15 minutes. Rather than letting projects overwhelm you, grab a timer, set it for 15 minutes, and work as fast as you can! Sometimes 15 minutes is all you can spare. If that’s the case, set the timer, work as fast as you can, and then go back to the rest of your day. It’s amazing what can be accomplished in such a small amount of time. 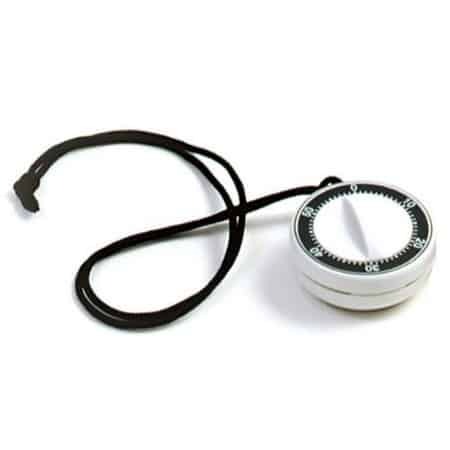 I’ve had this timer for about 10 years now—it’s one of my favorite homemaking tools! Sometimes just getting started can be the hardest part of the project. This is where the power of 15 minutes can really be a life-saver. More often than not, what happens to me when I set a timer for 15 minutes, is that I find I want to keep going when the timer stops. If you have the time to keep working, this can be a great way to knock out a project in record time. 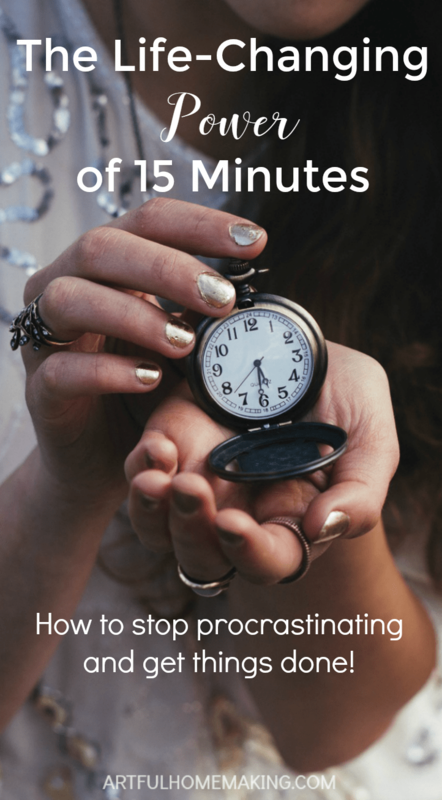 If you truly only have 15 minutes to work on your project, at least this little 15-minute trick will help you overcome the difficulty of starting. To keep the momentum going, plan to work on your project in 15-minute increments every day (or several times a week) until you’ve completed it. This is a really helpful tool for getting started with decluttering and organizing projects. I know it can seem overwhelming when you’re dealing with clutter. Rather than just staring hopelessly at the mess, plan to spend 15 minutes working in whichever area of your home needs the most help. 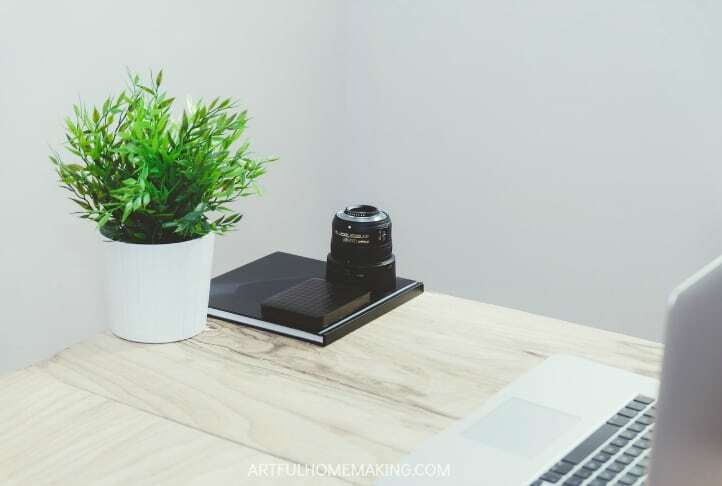 If you work at it a little bit every day, you’ll soon be on your way to clutter-free and organized! Sort through that pile of old magazines and junk mail. Clean out and organize a kitchen cabinet or drawer. Purge a section of your filing cabinet. Get started on a photo book. Clean out your purse or diaper bag. Fold and put away a load of laundry. 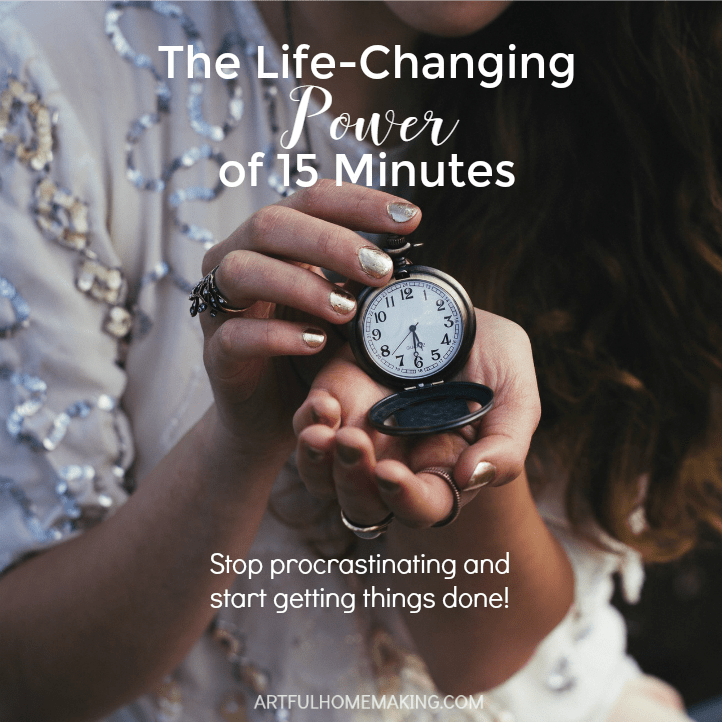 If you’ve got a project that always seems to get put on the back burner because it seems overwhelming or you just can’t seem to find time for it, try setting a timer for 15 minutes and see where it takes you! Yes! Many times I’ve “tricked” myself into getting a job done by saying to myself, “You can work on it for 15 minutes and then stop.” By the time 15 minutes is up, I”m into it and before I know it the job is done. It’s amazing how well that works!